Anything is possible and can be improved, often to the surprise and delight of the patient. We are all humbled by the faithfulness of many of our patients. Some patients travel long distances to see Dr Seymour. That in itself says a lot because of the trust he has built over the years. Dr Seymour has seen some of his patients from small children to mature adults with children of their own. 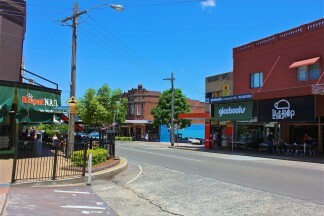 We do try to make the appointments for these patients at a time most convenient and to avoid peak hour traffic. The best times are after school times or in the middle of the day. We can also print a map for the patient with short cuts to try and avoid heavy traffic areas. 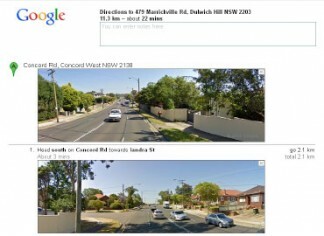 A street view option allows a picture of the intersections to accompany the directions. Pretty neat don’t you think! Dr Seymour will try to fit in the most in the appointment, if possible, to reduce the number of visits. The practice goes out of its way to accommodate the patients, even moving our lunchtimes around (sometimes the dentist has no lunch time). We have a service that can SMS you appointment times to remind you. We even have the old fashion service of talking to you over the phone! We always have emergency time set aside each day. The dentists are available after hours, on weekends and public holidays till 7pm (except on Christmas, New Years Day and Good Friday). We have an after hours message service where an operator can type in a message for the practice. This is then SMS’d to the dentist am emailed to the surgery. The message is usually answered at the latest the next morning if it is in the middle of the night, by either the staff or the dentist. At Seymour Dental want to give 100% and do whatever is in our power to make the visit as pain free as possible, and comfortable, and, just maybe, a bit of fun!